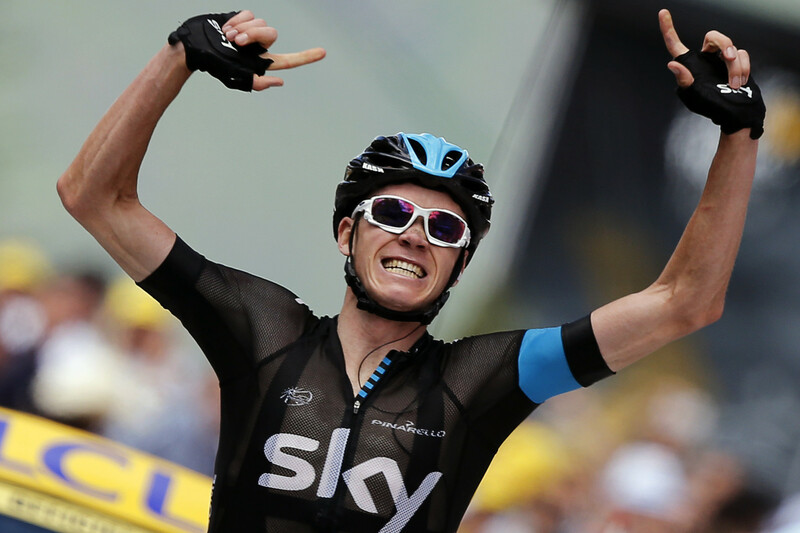 So that Chris Froome alien just won the Tour de France, which I have to say I’m pretty thrilled about. I mean I feel like it’s been almost a whole week since the last major bicycling scandal, so the fact that he might have been exaggerating his “heroic” battle with some not-all-that-bad disease is a nice breath of fresh air. This in addition to the fact that he is almost certainly doping because every professional bicyclist dopes. Actually I’m not even sure it’s worth betting on how long he’ll get to keep the title. No way it’s longer than a year right? Besides I think the better question is how many of the top finishers will be disqualified eventually? I can’t wait for them to hand that title over to the guy who finished 73rd a few months from now. And honestly chances are the only reason that guy will get to keep the title is because nobody bothered to drug test the guy who finished 73rd. Hey, better to be lucky than good. This entry was posted in Professional Cyclists. Bookmark the permalink.